We're super proud to announce that our short animation, We, The Masses, directed by Eoghan Kidney, based on original artwork by Robyn O'Neil, has been chosen to be screened in front of Giorgos Lanthimo's (director of Dogtooth) latest feature Alps in the IFI from Friday, November 9th -22nd. Check out our films on Volta Facebook App! Volta has launched a new social viewing Facebook app. Now you can stream, share, gift and rate Pyjama Girls, Seaview, Build Something Modern and many other independent movies directly from Facebook. Our pals at Doc/Fest have asked us to help spread the word about their Indiegogo crowd funding campaign. Sheffield Doc/Fest are known as a festival that offers amazing value for all levels of the industry from new entrants through to top executives, with all films, sessions and social events open to all delegates for the whole 5 days. Delegates get so much out of the festival - things that have impact long after the 5 days in Sheffield. That is what they want to keep doing - delivering an event that has a big impact and your money will help them do that. They will take your contribution as a sign of love, appreciation and acknowledgement of their work and will give back that love, acknowledgement and appreciation to you in spades - they promise! Excited to announce that Teemu Auersalo's Learning to Fish produced by our very own Nicky Gogan received Special Mention at the Galway Film Fleadh 2012! Congratulations! We're very proud that Build Something Modern was selected by Tara Brady in her annual Top 5 Irish Films list for the Irish Times this year. NYC friends. Our latest doc BUILD SOMETHING MODERN plays at the Irish Arts Centre Nov 15th. this weekend in Manhattan at the Irish Film NY festival! Film Center, 36 E 8th street, NYC. Check out the trailer to our new animated short. Watch this space for screenings info. Still Films have a number of shorts playing at this year's Galway Film Fleadh. Make sure to catch them! 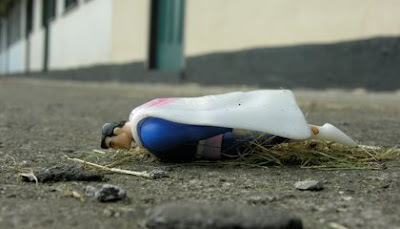 One man falls to earth to find hatred, mystery and his demise. We the Masses is a tale of warning and transcendence. We, The Masses, is Directed by Eoghan Kidney and based on artwork by Robyn O'Neil animated by Mark Flood and Ciaran Crowley, with sound design by Fiadhnait McCann and music by Adem Ilhan, it's not to be missed! Making Michael follows the process of remaking the Michael Jackson waxwork shortly after Jackson's death. The construction of fame and the battle against impermanence become themes as the model-maker considers how to capture the essence of a man who underwent so much transformation. Rats Island is sparse and measured. It offers an observational account of how, in the face of personal and economical adversity, a father has made a home for himself and his son. Build Something Modern tells the story of a lost canon of Irish architecture. The film reveals the surprising and untold history about the adventurous architects who began their career in Africa and went on to become some of Ireland's most significant architectural figureheads. Between the 1950s and 1970s, young architects travelled to Africa for creative freedom during an era of relative cultural conservatism at home, while others designed buildings from Ireland that they themselves would never see in their completed form in Africa. The film travels back to the 1950s, to a still largely colonial Africa where the Irish missionary movement was at its height, and traces the story of the buildings through the devastating impact of wars that destroyed many of the structures right through to the present day. Reworking stunning imagery from both the personal archives of the architects and recruitment films made by the missionary orders, the film encompasses Still Films unique visual and storytelling style. Build Something Modernis a touching and revealing film about the special relationship between architects and the structures they create. Accompanied by an evocative soundtrack which establishes connections between memory and construction, the film is as much a study of the effect time has on the mind as on physical structures. 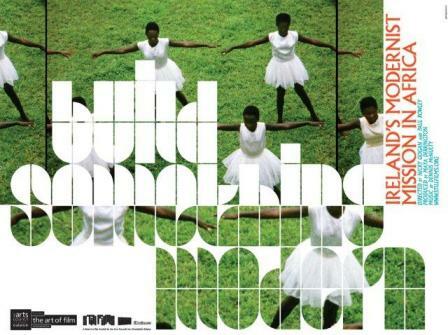 Build Something Modern is a meaningful portrait both of the lives of spaces as well as those of the people that create them. The Still Films gang will all be at Sheffield this week to premiere two new films; BUILD SOMETHING MODERN and RATS ISLAND. Also we're round the MEET MARKET with A CHILDISH PLACE. Info for the screenings is here. See you in Sheffield! Our latest feature documentary BUILD SOMETHING MODERN opens in the Irish Film Institute on Friday May 27th for an exclusive run. More info here. 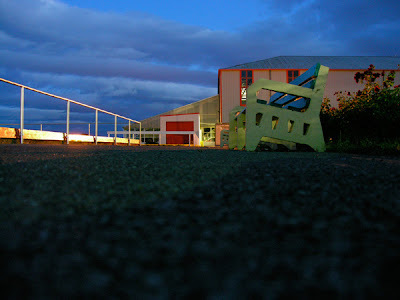 Pyjama Girls is showing at Cake Contemporary Arts at the Curragh Camp, Co Kildae this week. Screenings are on Friday 20th May at 2pm and 6.30pm and Saturday 21st at 2pm and 4pm. To confirm a place email carly@cakecontemporaryarts.com. Thank you to everyone who supported our Fund:it campaign to get new documentary Where Were You! up and running. We hit our target and can't wait to get started! We are delighted to announce that Still Films won the Michael Dwyer Discovery Award for new talent at the Dublin Critics Circle Awards last night. on it many years later. and Michael O'Doherty Dip. Arch FRIAI, Fr. Kevin Longworth SPS, Fr. pages/about.html Full press kit and images available on request. This Weekend! Darklight Film Festival & STILL FILMS showcase Capital Irish Film Festival, Washington DC. Screening times and ticket information via Irishfilmdc.org below! Friday, December 10th at 7.00 p.m.
Darklight heroes is when some of the festival alumni and contributors from past editions get together to think of the artists who inspire them most from any field and invite them to curate a session in the festival. who is the DC hero? David has declared his film line up top secret and has forbidden us from releasing the details but we can tell you that he has named his selection MIXTAPE OF DOOM - a collection of logic bending neuro-masochistic short films from the past, present and future. early animation, modern rarities, lost television shows and other slices of meat from the media's most surreal and succulent tenderloins. sounds tasty! Friday, Decembe 10th at 9.00 p.m.
Darklight Festival Director Nicky Gogan has hand picked a collection of films that she thinks reflects Ireland's current social climate as well as the state of independent Irish film-making today. In an interactive session that will include input from fellow producer and director, Paul Rowley, as well as a live video link up with Irish guerrilla musician (and director of Nun's Fight Club), Declan De Barra, Nicky will lead us through her perspective on Irish cinema. PYJAMA GIRLS plays November 16th at the Excel in Tipperary town. Pyjama Girls BACK BY POPULAR DEMAND! Pyjama Girls BACK BY POPULAR DEMAND! Sell-out Irish documentary Pyjama Girls plays at big screens from September 17th nation-wide as part of an innovative DIY distribution campaign. Pyjama Girls, a new Irish documentary by Maya Derrington, examines the lives of two of Dublin's 'pyjama girls', will screen at some of the country's most prominent cinemas. Like us on Facebook for regular updates and screening times and venues! Swede Me is Still Films' 3rd series for RTE Young People's and we are inviting teenagers to apply to make and star in their own short films. Apply by 2nd June 2010 at www.rte.ie/tv/twotube/swedeme.html. Swede Me is a series of bite-size comedies presenting the idiosyncracies of today’s teen labels, in the style of popular TV formats. Each episode focuses on one teen group, for example Emos, GAA Heads, Skater Kids, Metallers, Scout, Gamers, or Facebook addicts. The episodes will be created this summer during workshops and shoots with the Swede Me team. Our IFB funded documentary Pyjama Girls will open the Stranger Than Fiction film festival this April at the IFI in Dublin. The film screens at 6:30 pm on April 15th and again at 12:30 pm on April 17th. TICKETS go to www.ifi.ie/stf or call 01 679 3477. PRESS ENQUIRIES to Patrick Stewart at the IFI on 01 679 5744. This year's Jameson Dublin International Film Festival programme has just been announced and it looks smashing. Still Films have a number of short films screening at the festival, which runs 19 - 28 February in cinemas and locations across the city. Anne Maree Barry and Matthew Talbot -Kelly will both be doing a Q&A about their projects at DATA 40 on the 26th of February. Screening Wed 23 Feb, 8.30pm Screen Cinema. Still Film's old friend and collaborator Jim Davis will be in town for the premier of his film Meeting Room, screening 21 Feb at 3.30pm, Cineworld, Parnell Street, D1. We're delighted to announce that Sweded TV Series 2 has been shortlisted for the New York International Children's Film Festival, which promotes intelligent, passionate, provocative cinematic works for ages 3-18. Of 2,500 submissions only approximately 300-400 get past the first round. In a small Irish town a girl is brutally murdered. When questioned by police, Paddy gives his workmate John a cover story. Twenty years later John is charged with murder and Paddy's lie is now an alibi. Cork Film Festival Premiere Screening of 'Alibi', a new short documentary. Directed & Produced by Darren Bolger/Caroline Campbell. Produced by Still Films as part of the Irish Film Board's 'Reality Bites' series. SEAVIEW is now available on DVD through our distributor Indiepix. The film which premiered at the Berlin Film Festival last year, and was nominated for an Irish Film and Television Award, tells the story of asylum seekers living in the former Butlin's Holiday Camp at Mosney, an hour north of Dublin. You can order copies on DVD or to download through the Indiepix site here. Still Films has been commissioned by Irish state broadcaster RTE to produce a second series of Young People's series Sweded TV, for broadcast in September 09. The series of 10 short comic films is made with groups of teenagers following a nationwide call for entries. Last year's series was selected to represent Ireland at INPUT, the prestigious conference for innovative public television from around the world. Watch the last series at www.rte.ie/swededtv. We're delighted to announce that our next feature doc 'Pyjama Girls' has been given the green light and is going into production in collaboration with the Irish Film Board. The film observes the lives of a group of teenage girls living in Dublin's inner city, who spend all their time in their pyjamas. Check our Feature Films section for more info and images. We're very pleased to announce that Seaview will be playing next week at the Thessaloniki Documentary Festival. 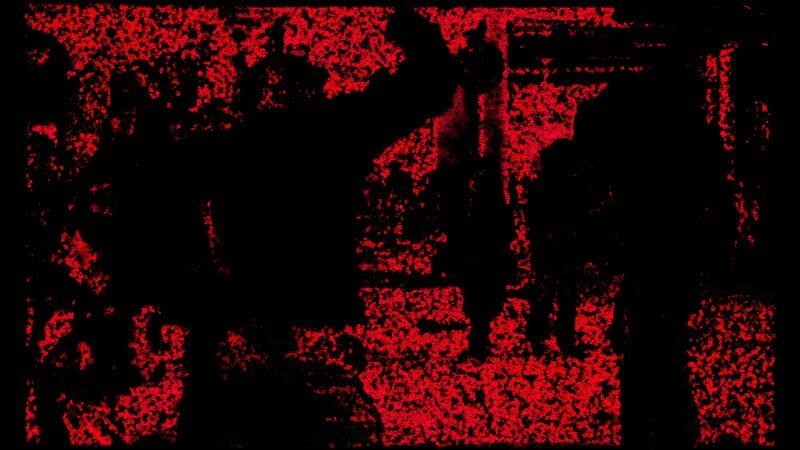 Istvan Laszlo's new animation Untitled (Revolution 89) will be showing at the Wilkinson Gallery in London as part of a group show of Romanian artists from the Plan B art space in Cluj. 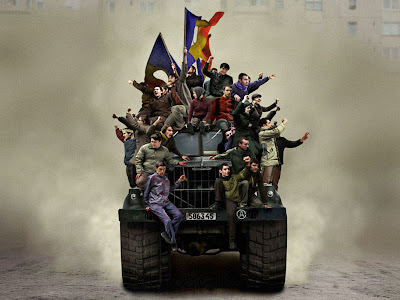 The video work is based on an anonymous photograph that was taken in December 1989 during the Romanian revolution against the Communist regime in Bucharest. By reconstructing this historical image well stocked in our collective consciousness, the filmmaker is analyzing the way that a fabricated image can reconfigure our relationship to historical truth. Wilkinson is pleased to announce a project space exhibition by Romanian artist-run space 'Plan B'. The exhibition brings together recent works by the three members of the group SUPERNOVA, active in Cluj between 2001-2004. SUPERNOVA's presence on the Romanian art scene contributed to a significant shift in tone and artistic attitude, away from the melancholy look of the post-Wall generation, repeatedly defining the East as non-West, as absence or lack, and the West as surplus, and puzzling over this in-built incompatibility. Alongside other new voices, Ciprian Muresan, Cristi Pogacean, and Istvan Laszlo engage the recent past of Eastern Europe as an occasion to extricate the very notion of history from ideological falsification, to bind it up with personal experience, conceptual accident and the history of art. In their collective and individual projects, history appears as a network of conflicting timelines, while the ways in which globalization and post-communism endlessly complicate each other are observed from a perspective immune to the utopias of revolution or liberalism. Ciprian Muresan's video 'Choose...', part of a significant body of work dealing with the father-son relationship, sees Vlad Muresan mixing Pepsi and Coca-Cola in a glass. The child's prank rings, in the context of Muresan's practice, pre-apocalyptic: a glimpse of the moment when carefully marketed differences merge in the same viscous paste, a rehearsal for the collapse of identities. Another work by Muresan is situated in a dreamlike interval between wars, as an extended recollection of the previous one and a monotonous preparation for the next. For one excruciating hour, soldiers peel potatoes, silently yet stubbornly interrogating geopolitical strategies, ideological unrest and the clashes of civilizations. Istvan Laszlo and Cristi Pogacean engage history the way monuments do, proceeding by extreme, effective simplification. Pogacean's 'Modernist Bird House', collapsing Mies van der Rohe and St. Francis of Assisi and pairing the Modernist effort to regulate life with its systematic irrationality, or Laszlo's manipulation of a propaganda image, showing the political leader drowsing off into irrelevance - these works isolate and modify bits of history in what feels like a simulator for alternative flows of time. In Pogacean's 'Caranime', Caravaggio's 'Doubting Thomas' becomes a lesson of anatomy, as the repeated gesture of incredulity and physical testing disrupts the event, introducing a deferral in the revelation of Truth and its acceptance. In another work, Istvan reflects on the fact that 'the first revolution broadcast live on television' did not lead to a 'film', to a director's cut, but to a profusion of making-of features and DVD bonuses, divested of denouement or resolution. Plan B is an artist-run space set up in Cluj, Romania in 2005 which focuses on Romanian art of the past 50 years. 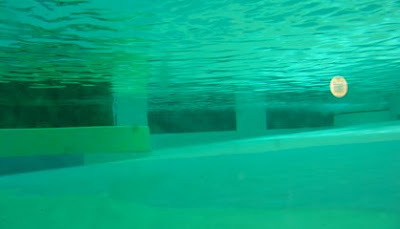 In 2007 Plan B organized the Romanian Pavilion at the 52nd Venice Biennale with Victor Man as curator and Cristi Pogacean among the artists exhibited, and have recently set up a second space in Berlin, Germany. Seaview is starting it's German cinema release this week at the FSK Kino in Berlin. The film is now being distributed by the Arsenal in Germany. Directors Nicky and Paul will be at the screening on the 7th, and then at all dates on the tour starting February 16th. Just click on the back of the postcard above for the tour dates. If you have friends in Germany who might be interested in the film please do pass the information along. Thanks! After its premiere at the Berlin Film Festival and a very successful tour of the festival circuit, ‘Seaview’ has now been nominated in the Best Documentary category of this year's IFTAs (Irish Film and Television Awards). Seaview German cinema tour. February 2009. 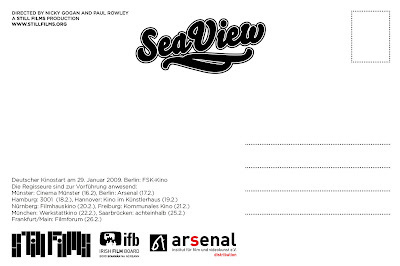 "Seaview' is now being distributed in Germany by the Arsenal. The film opens at the FSK-Kino in Berlin on January 29th and will then tour Germany in late February. The directors will be on hand to intro the film on the tour. Full tour dates to follow. The January/February issue of Film Ireland magazine, guest edited by Still Films directors Nicky Gogan and Paul Rowley with Darklight programme director Derek O'Connor is now available for sale in shops and from Film Base in Temple Bar. Seaview has been selected for the Lens Politica Film festival in Helsinki. Seaview's next Irish screening is at the Foyle Film Festival. SEAVIEW just screened at the Leeds Film Festival. And the programmers wrote this great synopsis for the film. 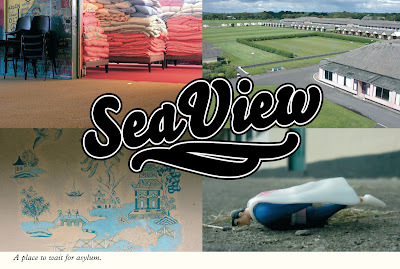 Mesmerising, cinematic and with an awesome sense of atmosphere, Seaview takes us on an almost Lynchian tour of a former Butlins holiday camp, now the 'home' for hundreds of refugees awaiting replies to appeals for asylum, some for 5 years. A superb human rights documentary which puts us inside the security patrolled grounds of this surreal world of waiting so that just for 82 minutes we might get some idea of the daily existence of thousands who live imprisoned in order to hopefully be free. 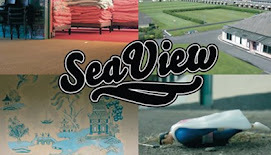 Link to Irish Film Board newsletter on Seaview at Sheffield here. Seaview plays at Sheffield Doc/fest at 21.00 on November 6th and 13.45 on November 7th.